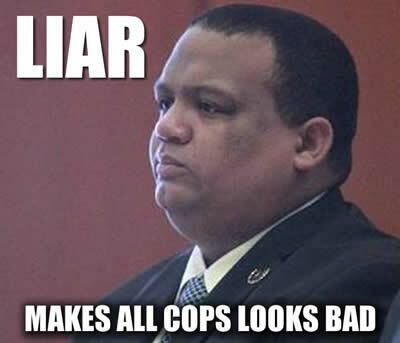 Officer Orlando Trinidad a coward, liar and criminal is an example of how bad Police and the courts have become in America. This totally disgusting piece of human garbage made his way onto the Bloomfield New Jersey Police department. If not for the dash cam victim Marcus Jeter would have been sentenced to prison. Officer Orlando Trinidad was indicted on charges of conspiracy, official misconduct, falsifying or tampering with public records, and false swearing in connection with the incident and its aftermath. A third officer involved in the case, Officer Albert Sutterlin, pleaded guilty to tampering with records, took early retirement and awaits sentencing.